Last week’s Democratic National Committee meeting in Atlanta, which elected former Labor Secretary Tom Perez as the party’s new chairman, was a major boost to Hillary Clinton’s plan (as fanciful as it may seem to others) to run again for president. According to sources close to the Clintons, Hillary believes that by 2020 the country will be sick of Donald Trump and ready to turn to a “seasoned, mature leader” (her words) rather than someone younger and less experienced. She will be 73 years old in 2020. As a result, she waged a furious behind-the-scenes battle in Atlanta to defeat Perez’s chief rival, Representative Keith Ellison, because an Ellison win would have blocked her control of the party’s national apparatus and turned over millions in campaign funds to the far-left Bernie Sanders wing of the party. These sources say that Hillary sees Sanders’ insurgent forces as a serious threat to her presidential aspirations. Sanders and his army of true believers have been trying to capture control of the party at both the national and state levels, and they’ve scored some initial successes in Hawaii, California and Washington. Among their chief goals is to rid the party of super delegates, who played a decisive role in Hillary’s victory over Sanders in the 2016 Democratic primary elections. 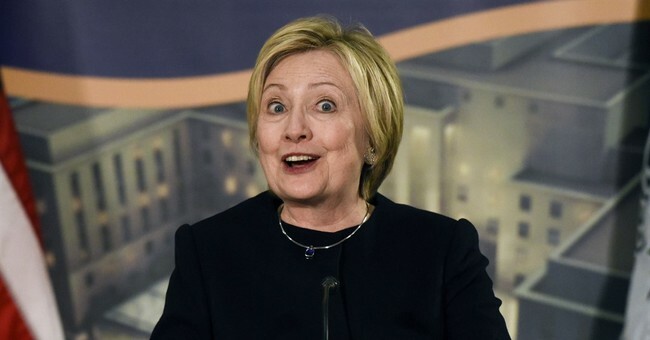 After weeks of lying low and licking her wounds, Hillary is described by friends as “reenergized.” She’s attended four Broadway shows, including the revival of Sunset Boulevard, where the audience gave her a standing ovation. She’s turned up at Ralph Lauren’s impossible-to-get-a-table Polo Bar, and dined with Kate McKinnon, the comedienne who’s played Hillary on Saturday Night Live. Hillary is writing her memoirs for Simon and Shuster and has signed up with a speaking bureau to make paid speeches (though not of the $350,000-a-pop variety). And she plans to launch a “listening tour” of the country similar to the one she did when she first ran for the Senate from New York State. “She believes that she will attract record crowds,” the Clinton sources said, “and she intends to take Bill along on some of the stops.